We hope you enjoy our new magazine as much as we did creating it. To us it’s like we’ve got a brand new bike, that’s taking us to even more interesting places and you’re welcome to join the ride. Ad-free, subscription-based, and we think awesome, it’s available now for iOS devices and is a free Newsstand app. Each monthly issue costs $3.99 or $2.99 per month with an annual subscription. To celebrate our launch and get readers on board with us, the annual subscription is just $1.99 per month. That’s a whole lotta bike culture for less then a cup of coffee and 33% off the regular subscription rate of $2.99. We are cyclists to the core and we know that our readers are as well. We also know that while blogging is great (doing it for 7 years here), it’s best suited for shorter pieces, digests, and quick thoughts. We’ve got much more to say about bikes and bike culture and so we’re excited about a magazine format that’ll give us more room to write and share our experiences with our own spin and agenda. It’s our hope that a large subscriber base will allow us to staff up too and reach a larger audience with a strongly independent voice. 00 Sample – a free issue that includes a sample of our writing and opinions from the past seven years and is bundled with the app. 01 Launch – a full-length feature on Budnitz Bicycles and whether the world needs a $6,000 cruiser; a look at the world of high-end cycling enthusiasts in the post-Lance era and how companies like Rapha are shaping the next wave of cycling enthusiasts. Also reviews of our go-to, must-have gear, and a Mark V rant with some great street photography. 02 Urban – at the University of Washington, last week, the Urban Bike Symposium convened and I hosted a panel about bike culture. The timing of the symposium coincided with the launch of our magazine. In our second issue, being written now, we’ll cover the State of Urban Cycling and what we’ve seen over the years. 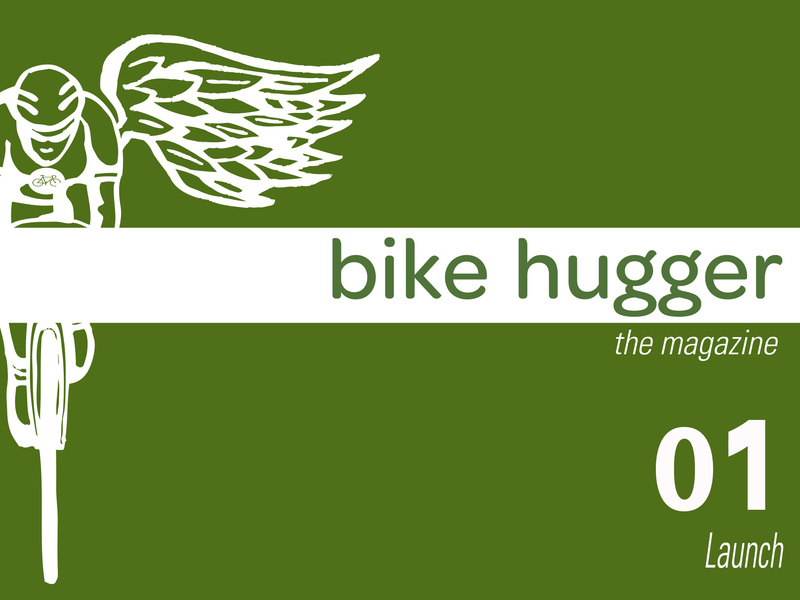 The Bike Hugger Magazine app is available now on iTunes. We also have a Mag Tumblr to share the covers and a brief summary of what’s inside each issue. Yep we’re considering offering magazine content for other platforms like Droid and Windows, but first wanted to get to market with iOS devices like the iPad and iPhone.